To some, the automotive industry might not really seem to benefit from many modern online marketing strategies. Cars are such a physical necessity in most areas of the country nowadays that people will usually go out of their way to find the right car for them, right? Unfortunately not. This doesn’t happen nearly as often as people expect. Most of the car dealerships that get the majority of today’s business are utilizing online marketing, can improve their efforts through GEOFencing, the strategy of marketing to nearby customers and therefore gain their business through targeted marketing based on location and interests. What exactly is GEO Fencing? GEO Fencing is the act of setting up a “virtual fence” around your area of your dealership. That fence in turn triggers individuals using online media and causes their devices to display advertisements or relay other notifications about your nearby business. The goal of this is to attract consumers and notify them of the services you are offering in case they didn’t know of your location beforehand. The importance of GEO fencing should not be ignored in today’s online world. Especially in an increasingly crowded automotive industry, it’s important to be adaptable in your marketing strategies. While tthe days of traditional TV commercials to draw in your customers decrease, thriving areas of marketing such as online marketing is a must. While this might seem like a daunting task for some seasoned car dealers to take on, it also hold its extreme benefits. GEO capabilities mean that you can even target customers shopping at your competitors. Think about the possibilities when it comes to setting up a fence around your competitors business and showing ads for yours whenever a potential customer shows up. If your services or products are similar and your ads are designed the way they should be, there’s no reason why you couldn’t grab a few customers right out from under your competitor’s nose. This also goes along with the possibility of advertising at businesses that complement yours. If you are a car dealer, consider setting up GEO around nearby car repair shops. Sometimes customers who have extensive repair work that needs to be done on their car will spend some time shopping around for new or used cars while they are deciding whether or not it’s worth it to fix the one they currently have. At the very least, doing this will get your name out there with the customers who might be in the market for a new vehicle in the future, even if they don’t come in to purchase right away. 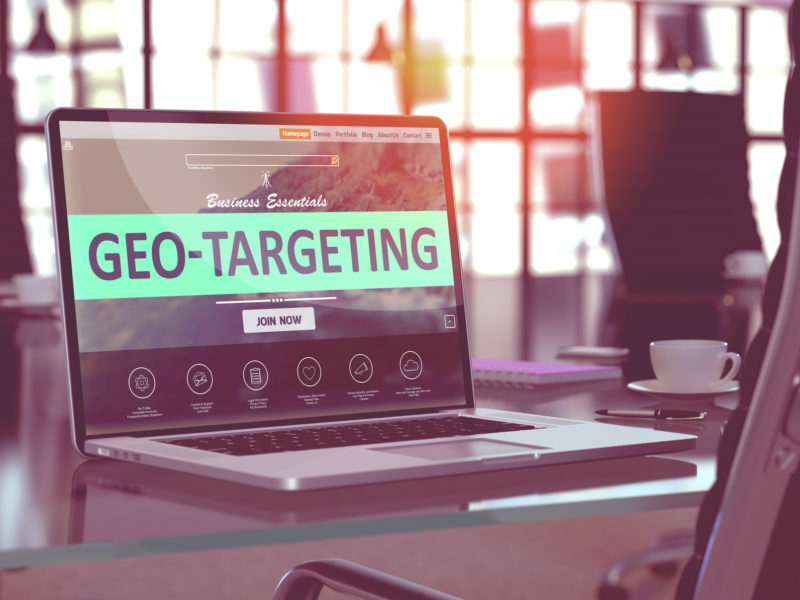 Like we said before, this can all be a daunting task, but ultimately the importance of GEO fencing is something that must be recognized by any business looking to thrive in today’s world. But there’s no need to worry because companies like Customer Scout are here to help any business looking to make their first foray into this realm of advertising. award winning Automotive SEO services for dealers including Hyundai, KIA, Toyota, Chevrolet, Ford, VW, Dodge, and Jeep. With original content that is created uniquely for each car dealership and their location, Customer Scout has proven high ranking results when it comes to helping dealers just like yours rise to the top of geographical marketing. At Customer Scout, we understand how to best target the customers you want to reach by providing relevant search results to consumers and increasing your visibility and traffic online. This can be of the utmost importance when it comes to getting today’s buyers to notice you and your business. We also do this through blog writing customized content for your dealership. Blog posts are integral to increasing your search engine performance and rankings. With proven success in all of these areas with dealerships, we understand the implications of good and bad online visibility and how to come back from less than ideal performance in the past. We know how important results are to you, and that’s why we won’t stop until you see just what you’re looking for. Through all of the above mentioned practices, we can bring the results to your dealership that you’ve been waiting for. Don’t hesitate to contact us today in order to get your new, modern marketing strategy up and running today!